In the last article, “Best Pod System for THC/CBD E Juice,” we took a look at the Asmodus Flow and Vapedynamics Cora. The Flow was a prototype and had a few problems, as one would expect. The Cora was a nice first find but I took it on vacation and found myself won of MOAR! So we continued our search for the Best Refillable Pod Mod to fill even the hungriest of appetites with Wax Liquidizer infused THC E Juice. 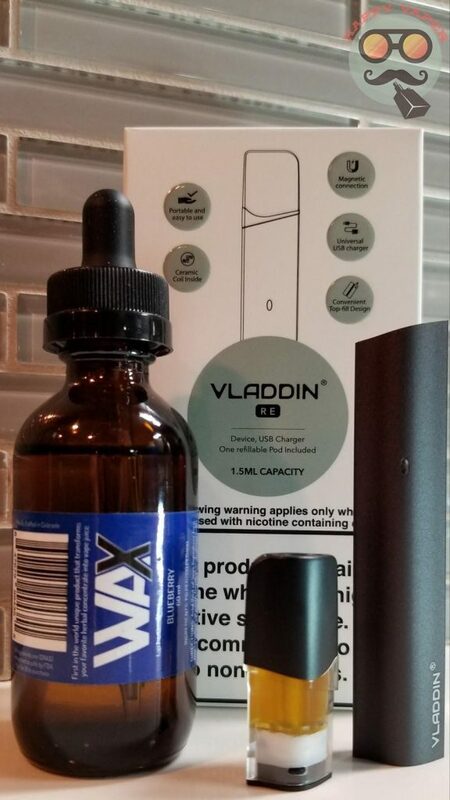 The Vladdin is a 112mm long and 19mm wide refillable pod system. It uses a 350Mah battery and magnetic connections to attach the pod. It is auto draw so no buttons to deal with. 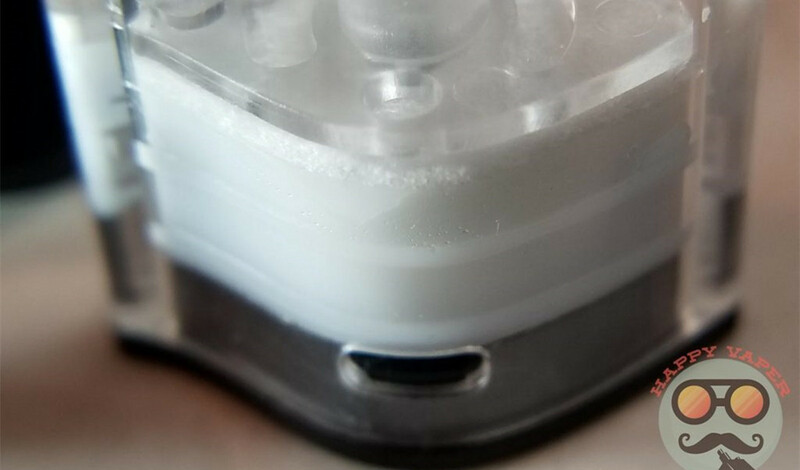 The pod mod charges via Universal micro USB and has a short circuit and low voltage protection. The kit comes with a battery, 1 x pod, and a nice USB cable. The battery charges quickly and I only had to charge twice for 1 pod. It is small but delivers powerful hits! In other words; take the long 5-6 second puff and then puff again after the shut off rather than 2 seconds, 2 seconds, 2 seconds over and over. Taking smaller, consecutive, non-stop hits will overheat the coil and darken the juice when the juice-level gets low. It seems to be fine when it’s filled, however. I think it has to do with how dry the juice becomes by the end of the pod coupled with too much heat. Discovered that on 4th July when many people were puffing and sharing the Vladdin. Real world testing is a must. The Pulse has a 10-second auto shut off to help with overheating. Though I have never felt like it gets too hot. Be sure to give the atomizer time to vaporize the juice by inhaling slowly. Fast inhales will get juice in your mouth, as it doesn’t have time to vape. Still, it isn’t spitting out burning hot juice like some other pod systems I have tried. The cloud production and taste are pretty good, especially at the price point. At the time of writing, I see them for $17.95 at Element Vape. Limitless Pulse: Very low price, no leaking, quick universal charging, larger capacity pods (even if it doesn’t look like it), decent taste and cloud production, small and discreet (especially since fewer clouds). You can use code HAVA20 for 20% off!